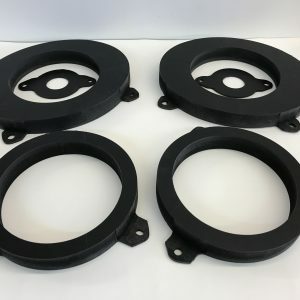 These 2012-2020 Tesla Model S Speaker Adapters allow you to add aftermarket speakers in your factory speaker locations on the 2012-2020 Tesla Model S. Custom made to your exact speaker dimensions, customers adapters are fabricated on our in house CNC machining. As a result you get a perfect fit every-time! 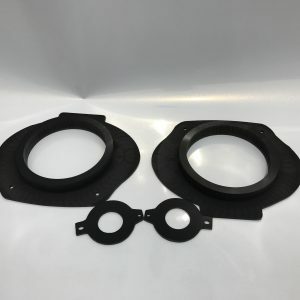 We have adapters available for both the front door, tweeters and also the rear door. 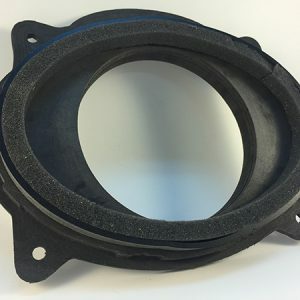 Our Tesla Model S speaker adapters are machined out of Expanded PVC, so they are very strong and weather resistant. 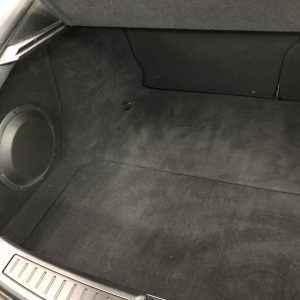 They will not swell up like MDF when it gets wet from the moisture. 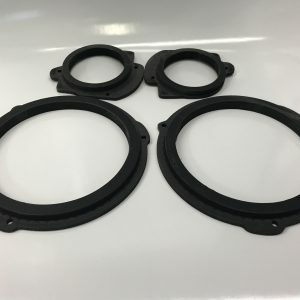 The front speaker adapters will fit up to a 3″ deep speaker. 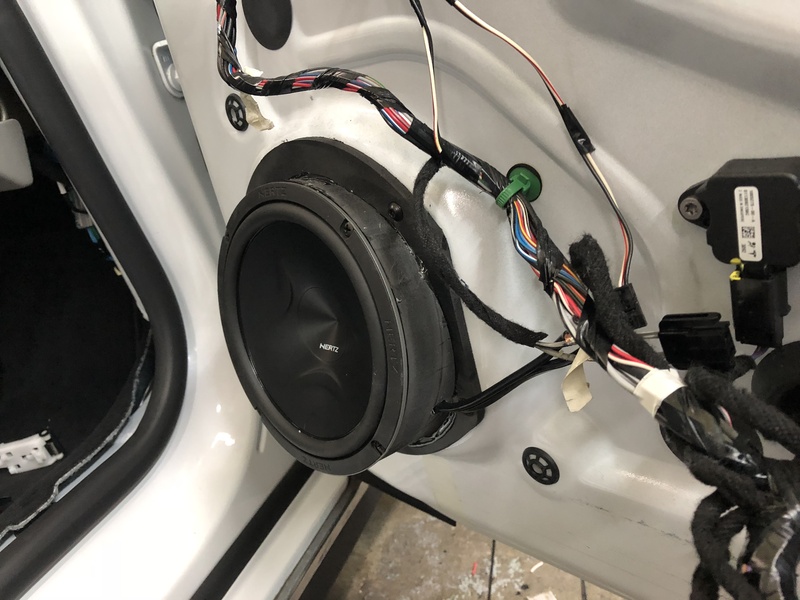 The rear speakers will fit up to a 2 5/8″ deep speaker. The speaker adapters are angled just like the factory intended them to be.